The Santa Cruz Cancer Benefit Group is dedicated to improving the quality of life for people living with cancer in the Santa Cruz community by raising money to support our beneficiary organizations and fund new research that will provide possible cures and better solutions for treating cancer. Our non-profit organization accomplishes these activities by raising community consciousness through events supported by our partners. Join us and give much needed help to those experiencing cancer in their lives by attending one of our annual events, volunteering or making a contribution. It’s simple. Your donation makes a direct impact in the lives of people living in our community. As long as people suffer from cancer, the Santa Cruz Cancer Benefit Group will be here to raise the funds necessary to ease their pain. Join us! Watch our Video: Get to know SCCBG! We are dedicated to improving the quality of life for people living with cancer in the Santa Cruz community by raising money to support our beneficiary organizations and fund new research that will provide possible cures and better solutions for treating cancer. Our non-profit organization accomplishes these activities by raising community consciousness through events supported by our partners. In 1995, five friends raised a glass to each other and made a promise. They promised that they would dedicate their time and energy to raise money to support people living with cancer, and to support the research that could lead to alternative treatments and hopefully a cure. They promised to support local groups that were providing the much-needed services for people living with cancer in Santa Cruz County. And they promised to create positive ways to channel their frustrations with watching the suffering experienced during cancer treatments and the pain of losing loved ones into encouraging, community events where people could celebrate the promise of a day when treating cancer would be less painful and cures would abound. These five friends invited the whole community join them and from this promise the First Annual Spring Forward Against Cancer Tennis Tournament and Celebration called “Volley for Cancer” was born. Today the promise is still being upheld by these friends: David Adams, John Battendieri, Bob Munsey, Jerry Neilsen and Terry Pershall founders of the Santa Cruz Cancer Benefit Group. In their first year, the Santa Cruz Cancer Benefit Group raised $2000 for their cause. Now 22 years later we have raised $2 million in funds for our community. Our goal is simply to raise more money each year to support our current partners, and inspire new initiatives that can bring peace into the lives of those who suffer and a cure to end the pain. The original five founders are still actively involved and part of the Board of Directors, along with additional members of the community and leagues of active volunteers who fuel the organization. Together they persevere year after year raising funds with an ever-renewed motivation to keep their promise. Join us and give much needed help to those experiencing cancer in their lives by attending one of our events, volunteering or making a contribution. It’s simple. Your donation makes a direct impact in the lives of people living in our community. As long as people suffer from cancer, the Santa Cruz Cancer Benefit Group will be here to raise the funds necessary to ease their pain. Join us! The SCCBG selects a variety of beneficiaries who are providing much needed support and research for people with cancer in our community. The following is a list of some of recipients of funds from past events. Teen Kitchen Project brings young people into the kitchen to learn to cook delicious and nourishing food. Meals are delivered free of charge to individuals and families who are in crisis due to a life-threatening illness. Teens gain skills in cooking healthy food, learn about the impact of their food choices and build connections through community service – while providing much-needed nutritional support to those in need. Hospice of Santa Cruz County provides compassionate presence and professional expertise for individuals and their families confronted with end of life and ensuing loss. Essential to this mission are the core values of dignity, comfort and self-determination. Their Transitions program provides quality, professional assistance, ensuring that individuals and families have the support they need to navigate the many questions, concerns, and practical and emotional challenges that arise with a life-limiting diagnosis. Jacob’s Heart Children’s Cancer Support Services seeks to improve the quality of life for children with cancer and other life-threatening illnesses by supporting their families in the challenges they face – by providing family-centered care that addresses the emotional, practical and financial struggles for families of children and teens during treatment, families experiencing anticipatory grief and those who are bereaved. The Bennett & Suzy Katz Cancer Resource Center at Dominican Hospital offers patients and their loved ones a place to get the support they need. The Katz Cancer Resource Center provides no-charge access to information and services related to all aspects of cancer care. Support groups are open to all whose lives are challenged by cancer: patients, family and close friends. Groups include breast cancer, cancer, caregiver support, ovarian cancer, prostate cancer. WomenCARE, founded by women with cancer for women with cancer, is a safe place that provides advocacy, free resources, education, one-on-one and group support, and healing workshops to women facing all types of cancer, to their families, friends, and caregivers. 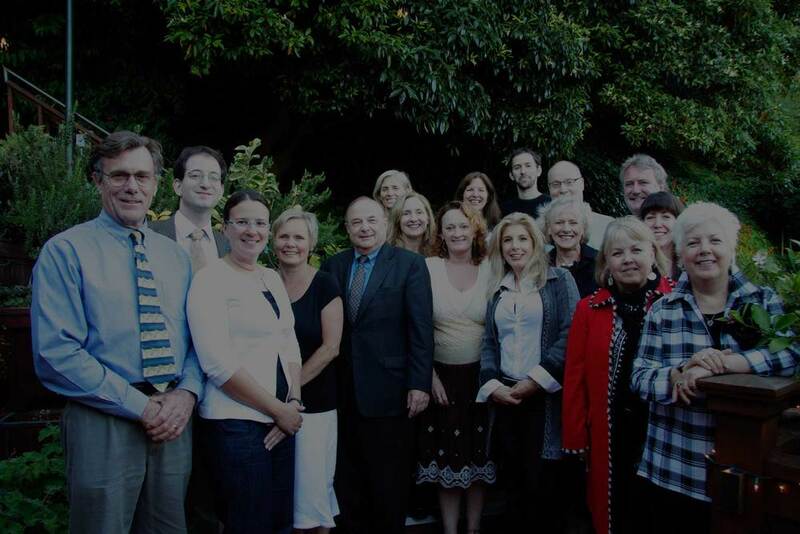 In 2005 the Santa Cruz Cancer Benefit Group Board of Directors decided to support research efforts aimed and generating new scientific discoveries that could lead to the development of innovative new cancer treatments. Since then SCCBG has continued to annually support the ground-breaking research taking place at UC Santa Cruz. In the past, pilot projects funded by these small grants from SCCBG have enabled UCSC faculty to obtain preliminary results that led to much larger grants from the National Institutes of Health and other funding agencies. 2015 marks Santa Cruz Cancer Benefit Group’s 20th Anniversary. Help us mark this anniversary by aiding us is raising over $2 million for our local cancer serving non-profits.